Let’s face it: No matter how enjoyable spending day after day online can be, as each hour adds up there are a few little things that just get more annoying. Whether it's having to browse through hundreds of browser tabs to find the one you want, or it’s dealing with what other people say, here’s a collection of plugins for Google Chrome that will help keep you from getting so wound up. If you go WTF about what people write and "YOLO" makes you utter a primal scream, try In My Words. 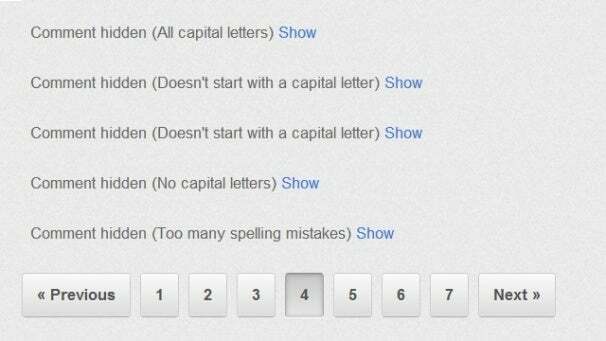 It lets you replace any words you hate with ones of your choosing across the Web, whether it’s an acronym or a typo that you come across way too often. It’s a bit drastic to say that you should never look at the bottom half of webpages, but the average IQ as presented in comments can easily be brought up a bit by removing those with the intellectual equivalent of banging a brick against the side of your face. Comment Snob hides those comments that abuse capitalization, contain too many spelling mistakes, overuse or misuse punctuation, and so on. It’s really powerful with a great set of options, so you can customize at will and even set different rules for individual websites. Videos and Flash animations that play automatically when you open a page are obnoxious enough, but if you've ever tried to queue up a load of videos to watch later in the background and they all start playing at once, you may have wanted to throw your computer out the window. Fortunately, the self explanatory Stop Autoplay in Background Tabs for YouTube will help with that, as videos will only start playing when you switch to that tab. It’s that simple. The simplest way of dealing with annoying regular trends used to be to change your location to Venezuela. Since then, though, Twitter has tailored its trends feature to make trending topics a bit more meaningful to you. Still, there’s one surefire way to ensure that Justin Bieber never makes an appearance on your sidebar. 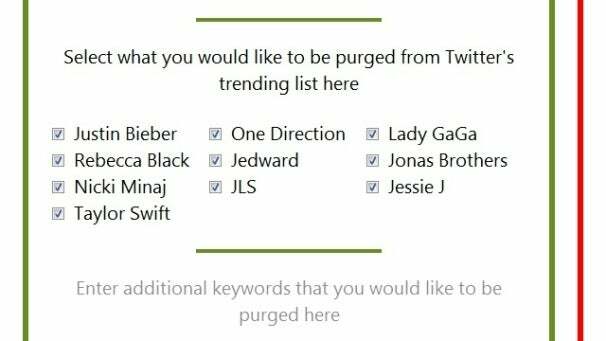 Made by 18-year-old Ben Hooper, the Purge Twitter Topics plugin will automatically hide trending topics from showing up if they include the name of certain pop stars--and you can add your own in as well. It’s not available on the Chrome Web Store, but you can download it directly from Ben's site (note: link will appear as a bunch of gibberish if you're not running Chrome). Jonathan Cresswell makes things about stuff on the Internet. When not wasting time on Twitter, he writes about video games and turns jokes into one-off websites.